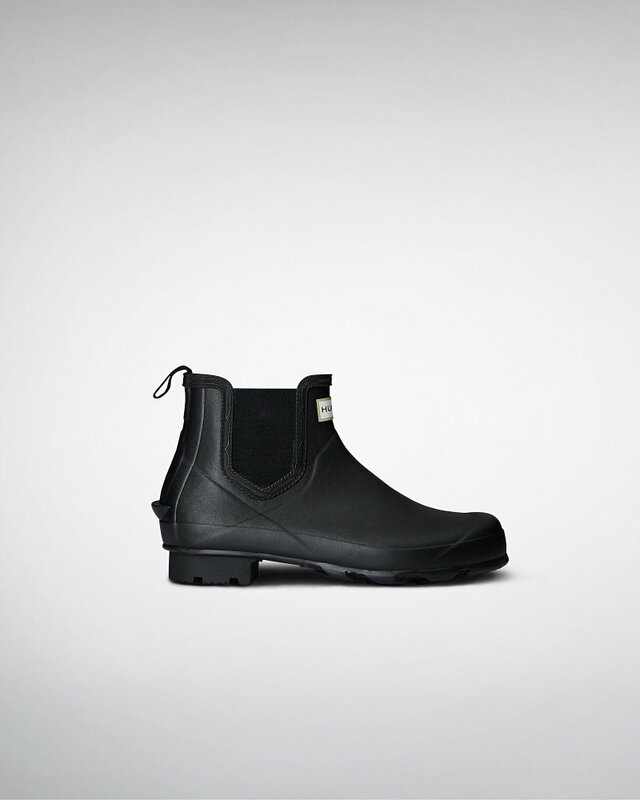 Women's Norris Field Chelsea Boots is rated 4.3 out of 5 by 11. Una revisión resistente de las tradicionales botas Chelsea, estas botas Chelsea Norris de mujer de la colección AW17 se han confeccionado artesanalmente para ofrecer comodidad y, por encima de todo, protección cuando el clima se vuelve peor. Con un tacón en zigzag para un agarre adicional y un forro de algodón para comodidad añadida, las botas Chelsea Norris aportan ese nivel final de protección para desafiar a los elementos. Confeccionada para proporcionar aislamiento en las temperaturas más frías. Rated 4 out of 5 by Melb from Love my boots So happy with my boots. Only down side is the rubbing on my leg if I wear shorts socks, that is painful if you are out and about all day long. Also a little hard to get off. I can slip one off but have to pull the other off with my hands. All in all I am Happy with these! Rated 4 out of 5 by Gr17 from Great product Fast, reliable service. Price was reasonable. Very happy with purchase. Rated 5 out of 5 by Claire from Dress them up or down! Love I bought these a month ago for a trip to NYC- wore them every day & have been wearing them since. So many compliments, very comfy and definitely warm enough with a sock inside! I love them! Size 7 & true to size! Rated 2 out of 5 by Wanda from Lacerations on both my legs I received my Chelseas on Friday, and wore them today...For only a few hours Christmas shopping, and they cut me on both sides of my legs...Mind u, this is not my first Hunter rainboot, I have several, but this is however my first Chelsea...It's my Christmas gift from my hubby...Yes, it was quite stiff I noticed when I first put it on over my in step, but I figured that would ease with wear, but I began feeling this sting after about an hour of wearing them and I could see my meat...They had cut my leg straight through...And yes I had on socks...My boots are cute, but my pain and suffering out weighs that!!! Rated 2 out of 5 by bsidghlaf from Boots were not the same size I bought these boots and realized immediately after trying them on that one was smaller than the other. You can see a difference in length when you line them up. I was expecting better quality given the price. Rated 5 out of 5 by Maureen from Great 3-season rain boot for New England and my long commute to work. Fit great, feel comfortable-can’t wait for fall! Rated 5 out of 5 by Gaye from Boots are as advertised and are excellent, especially love color! Rated 5 out of 5 by Mary from I love these boots - they are exactly like they are in the picture on the website and they fit true to size. They are super comfortable and unique.